The best cpu cooler is very important since CPU's are designed to run at certain temperatures. If they run too hot, they will start to error, making your computer crash, and also decreasing the life of your processor. To deal with the heat that processors today throw off. We use a heatsink to help dissipate the heat. Most CPU's these days come with a factory heatsink and fan combo. 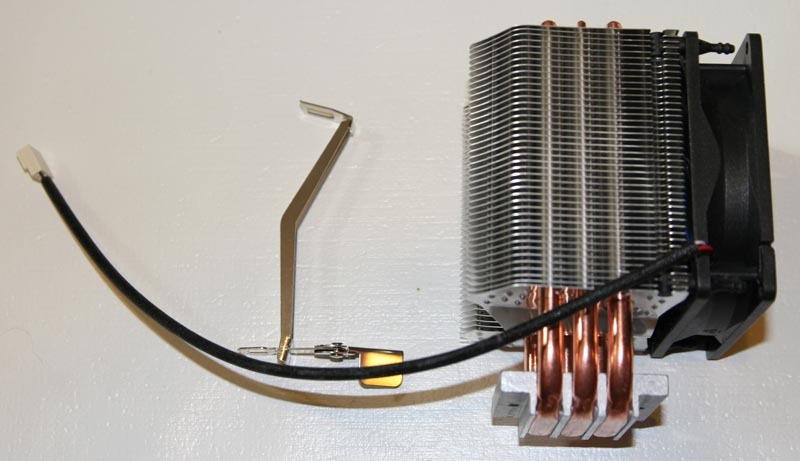 Unless you are planning on overclocking, or have heat trouble, the stock heatsink and fan should be just fine. If you want your system as stable as possible, get and aftermarket cooler, even when not overclocking, cooler is better. Noctua NH-D14 - A great air cooled option that will work with all motherboards. If you have choosen motherboard option 1, use the Noctua NH-D14 SE2011 to get the correct mounting kit. Both are the same cooler, only the mounting hardware is different. Corsair H100i - A liquid cooled option, great cooling, will require more work on the install, if this is your first build, you might want to try the air option first. I start by using the site Frostytech.com they have really good graphs and resources if you're determined to get the best CPU cooler. After I've picked a top performing cooler that is also quiet, I'll check to make sure it will fit on my motherboard with my RAM and also into my computer case. Usually, you can find this information on the CPU cooler manufacturer's website. As always, I check reviews as well from known resellers to make sure people don't have issues with mounting or cheap fans. To install a heatsink the first thing you will need is thermal compound. It fills the small gaps between the heat-sink and the CPU to get the most out of your cooling system. Mounting the heatsink onto the CPU is very specific to the cooler, but the general idea is always the same. If you are new to mounting a cooler, practice mounting it until you feel comfortable before you apply cooling paste. Step 1 - Get your supplies ready, even if you have a brand new system, I still recommend this step. Dip a Q-Tip in isopropyl alcohol and clean off the top of the CPU. Do the same with the side of the heatsink that will contact the CPU. If you are using the heatsink that came with your CPU, you can skip this step. Step 2 - After your CPU and heatsink are both clean and dry, apply thermal compound according to the manufacturer's instructions to get the most CPU cooling out of your heatsink. In this case, I spread a very thin layer on both the CPU. Step 3 - Then I spread a thin layer of thermal compound on the best CPU cooler you found. TIP! To make the most out of an upright cooler make sure the airflow goes up, or to the back of the case. Cases are designed to have cool air come in the bottom front, and go out hot from the back middle to top. Step 4 - Center the cooling pad on the CPU. On this cooler I attach the clip without the lever first. Step 5 - The attach the clip with the lever. If you are happy with the way everything lined up, flip the locking lever over to lock the CPU in place. TIP! Make sure you check the manufacturer's websites for thermal paste instructions, as well as heatsink mounting instructions to make the most out of your cooling. Step 6 - Now just attach the fan power to the connector on the motherboard labeled CPU fan.